Dr Stucke, who died yesterday. 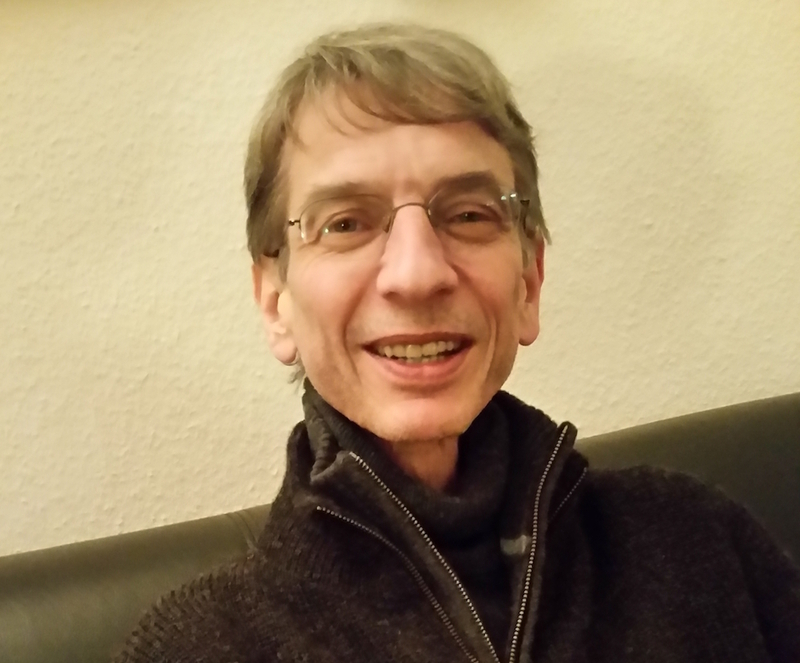 Frank Stucke, a brilliant German academic and journalist, and my colleague for many years, has just died. Frank was truly exceptional. He was one of the key reasons that so many of the television series that I wrote and produced featured such memorable German interviewees. He was not the only researcher that worked with us – there were a number of other talented journalists – but Frank was the only one who combined a working life as an academic with his freelance work for television. That gave him, I always thought, a sense of detachment from the headstrong nature of the production process, something which in turn made his efforts special. He was painstaking, patient and enormously honourable. I often remarked that a sense of integrity ran through him like lead in a pencil. He would not be moved under any circumstances from doing what he thought was right. His potential interviewees sensed this, and that is why he succeeded in getting many truly remarkable people to talk in front of camera. Most notably, Frank was the person responsible for obtaining our interview with Oskar Groening, a former SS man who worked at Auschwitz (and who was recently convicted of war crimes). Oskar Groening’s revealing testimony about what life was like for the SS in Auschwitz is of enormous historical importance. Historians will still be studying it in a hundred years. And it would not exist on the record if it was not for the fact that Frank Stucke had persuaded Oskar Groening to give his first – and so far only – television interview for my Auschwitz series. As well as being both a penetrating intellectual and a gifted journalist, Frank was fantastic company. A life threatening illness he had contracted whilst still very young had altered his view on the world. Having survived that terrible experience he realised that life could be snatched away at any moment. As a result, he believed it was important to live to the full every single second. I used to admonish him for smoking, for instance, and he would say that if death wasn’t certain for everyone then maybe he’d stop. But since death was coming for sure, why not enjoy yourself and smoke? When I saw him for the last time in a Berlin hospital he took pleasure in telling me that I had been wrong about the dangers of smoking. Whilst he was very sick indeed, it was not the cigarettes that were killing him, but something else entirely. He laughed when he told me that he had longed for weeks to be well enough to be wheeled out by a nurse into the hospital garden to have a cigarette – something he had accomplished a few days before. He loved everything about his life. Even his childhood illness – complications from which were now killing him – had been valuable, he said, because it had made him appreciate every moment of every day. He was a wonderful man and I am so very fortunate to have known him. It is, I hope, of some comfort to think that not only have more than a hundred million people already witnessed his television work – but that many yet unborn will also benefit from his talents, when they in turn see the television series which feature the interviewees he persuaded to take part.